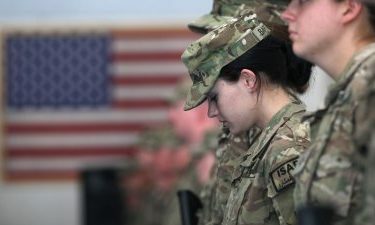 OKLAHOMA CTY (AP) – Hundreds of Oklahoma National Guard soldiers are returning home after deploying to Afghanistan for almost one year. The Guard says 350 members of the 1st Squadron, 180th Cavalry Regiment will return to Oklahoma on Tuesday. The unit deployed to Kabul, Afghanistan, in late 2017. Officials say the unit was part of the Kabul Security Force, a NATO-led mission created to train, advise and assist local defense forces. They were also part of a U.S.-led operation to train Afghan Army and police units to defend their nation. The 180th served alongside seven nations within the NATO operation. It comprised forces from the U.S., Britain, Denmark, Australia, New Zealand, Finland, and Estonia. The primary mission included force protection, security support operations and incident response throughout the Afghan capital.